The Theater of Dionysus, where thousands of Athenians gathered each spring during the fifth century BC to watch plays by the great tragedians Aeschylus, Sophocles, and Euripides, was—at its core—a Theater of Law. The rhetorical nature of the plays and the powerful language within them was forged in the crucible of Athenian courts, in which citizens argued, often theatrically, on behalf of their causes. In ancient Greece, there was a profound interdependence between the theater and the law, and the concurrent development of tragedy and the modern legal system during the fifth century BC is by no means a coincidence. 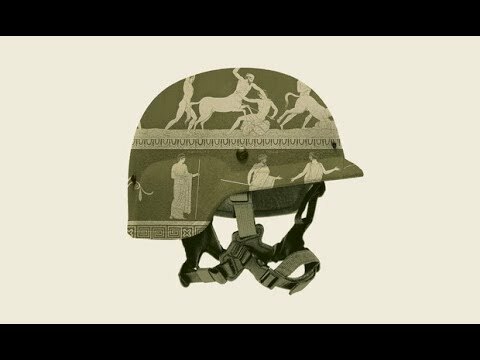 Aeschylus’ Oresteia trilogy, which culminates with his Eumenides, celebrates the birth of trial by jury, while leaving room for audiences—both ancient and contemporary—to interrogate, unpack, and discuss the inherent challenges and injustices built into the western legal system from the very beginning. We have victims,” said Sarah Khan, an assistant district attorney in New York, and “we can’t always make them whole.” Even after a jail sentence is announced, she said, “A lot of victims don’t feel satisfied. Because the thing that’s making them hurt is not going to go away by sending that person to jail. Aeschylus’ Eumenides dramatizes the trial of Orestes, a young man who is tormented by the avenging Furies after killing his mother Clytemnestra in retaliation for his father Agamemnon’s death. Orestes seeks refuge in the temple of Apollo, who brings him to Athens and defends him before a jury of twelve Athenians. The goddess Athena hears arguments from both sides, including the forceful prosecution of the Furies, who maintain that the social order of the city will unravel if the matricide goes unpunished. Ultimately, after the jury is hung, Athena casts the deciding vote, acquitting Orestes of his crime and, after doing so, she must also find a way to appease the avenging Furies, so that their violent and destructive anger is not unleashed upon the city.